The election board has announced the results of election with winner receiving 50.07% of the vote, barely 8000 votes over the threshold needed to avoid a runoff. 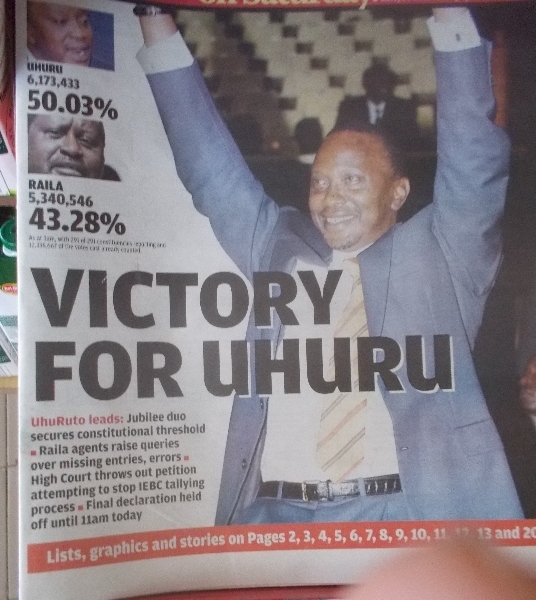 It was known that results would be announced today and that many might flock to Nairobi. Hence, we were back on bus today and are now camped on outskirts of Nairobi. We have rest day tomorrow and I hope we can then cycle on Monday. Observing the election is interesting but happier on the bike. Last night our preliminary plans were to bicycle the first 50km to lunch and then get on buses instead of cycling our convoy into Nairobi. However, that was before it was final that election results would be announced this morning. With that updated information and advice that people could flock to Nairobi for the celebrations/protests of the results – we ended up being on bus instead. This morning we stayed at our nice whitewater/kayak camp and then had lunch before boarding two overland trucks for trip to Nairobi. Compared to our earlier buses, this was all pretty easy and all on paved roads. There were a few hills starting out and then it became flatter. Meanwhile we went from two-lane road to four lanes and then six and eight lanes as the highway became busier approaching Nairobi. We saw some supporters of the new president with trademark red “TNA” (also known as Jubilee) shirts. However, we didn’t really see large groups collected together. 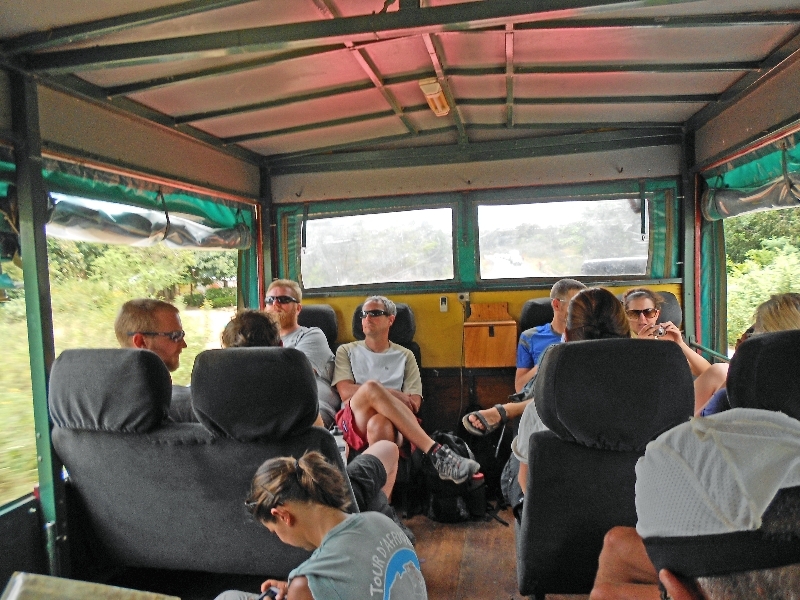 Without too much difficulty we found ourselves on the overland camp for our rest day here in Nairobi. We are in outskirts of town, though there is a large mall pretty close to here with all familiar comforts. As a whole it feels like a richer area than places we’ve been. We’ve been resting for a while, so not as much need to clean or do laundry but still a chance to regroup before what hopefully will be bicycle departure to Tanzania on Monday. I’ve already been to the mall and like many Kenyans stopped and listened to president elect make his victory speech as well as the opposition make a (graceful but not conciliatory) speech still challenging the results. I have already noticed some occasional election posters coming down, so hopefully post-results period will be at least as calm as while Kenya waited for results.